Do you want to add facial hair to your portrait? Sometimes you may want to add a beard to your photo to see what it would look like, or just for fun. 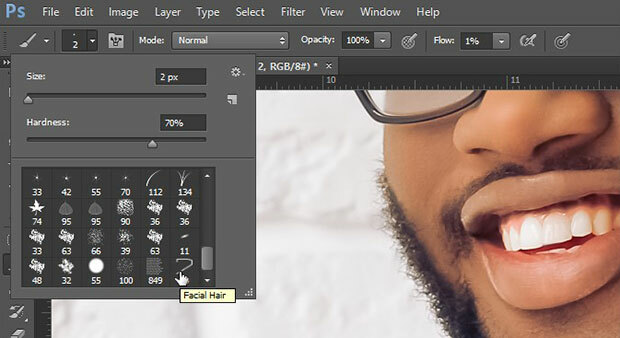 In this article, we will show you how to Photoshop a beard on yourself. First thing you need to do is open your portrait in Photoshop. If you don’t have it yet, you can get Photoshop here from Adobe’s site. 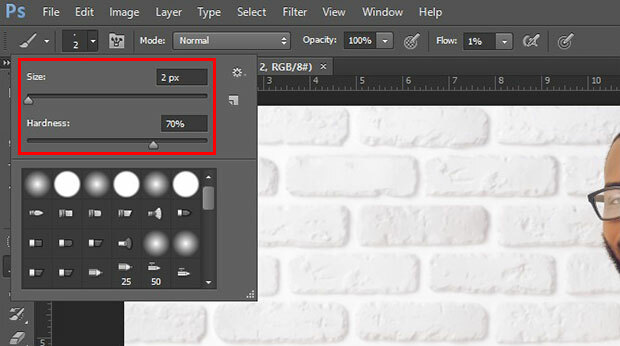 Now go to Layer » New » Layer to add a new transparent layer above the original image layer (it will appear in the Layers panel at the right side of your Photoshop screen). Pick the perfect color by using the eye dropper tool to select a color from the hair on your head. Then choose the Brush Tool, reduce the Size to 2 pixels and set the Hardness to 70%. Using the brush tool, draw a teeny tiny hair. Next you’ll need to create a brush out of this hair that you just drew. Simply add a new layer from Layer » New » Layer. Then, you’ll need to select the Rectangular Marquee Tool and draw a selection around the hair. Fill it with white using the paint bucket tool. 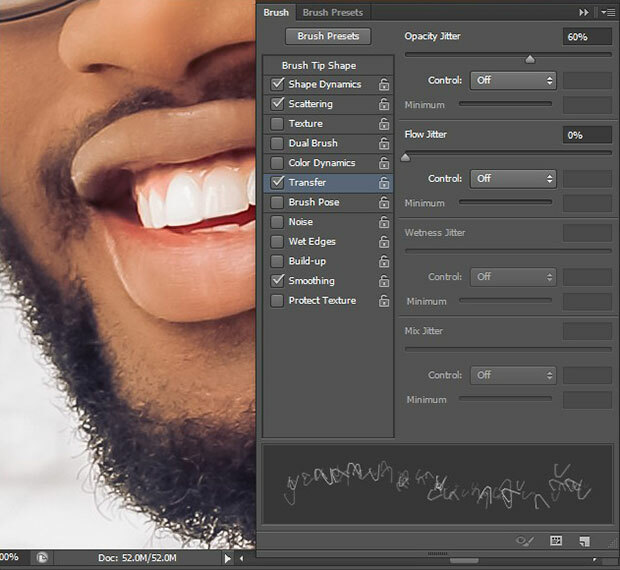 Next, go to Edit » Define Brush Preset and add a name to your new brush. After adding the brush, go ahead and delete the top two layers from the Layers panel that you added for creating the brush. You don’t need these anymore. Then select the brush tool from the toolbar and choose Facial Hair brush. Next, go to Window » Brush and check out the multiple brush options. For the Brush Tip Shape, you should change the Angle to 90 degrees and set the Spacing to 48%. Next, you should click on Shape Dynamics. Move the Size Jitter to 100%, Angle Jitter to 9%, Round Jitter to 50% and set Direction in the Control dropdown. Also check mark Flip X Jitter. After Shape Dynamics, you should check mark Scattering and select it. Check mark Both Axes and set Scatter to 248%. Lastly, you can select Transfer. Slide up the Opacity Jitter to 60%, so it makes few hair sharp and few hair light in color for more natural-looking facial hair. Here comes the exciting moment: you are now ready to Photoshop a beard on your face! Simply brush the facial hair on any areas of your face where you want to add the beard. That’s it! You can check out this before and after image below. 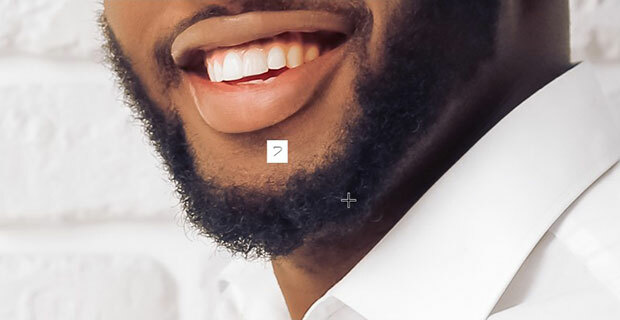 We hope this article has helped you to learn how to Photoshop a beard on yourself. You may also want to check out our guide on how to Photoshop a hat on someone.